Get the best tips from AM experts! We interviewed five experts in order to share their knowledge and experience with you. These five experts either already run a 3D printing lab, or have just opened one up for their company. 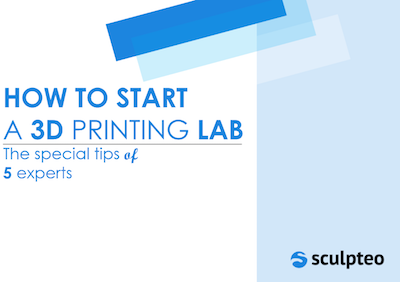 The experts explained to us how their lab works, the way it is organized, what they have learned from setting up their own lab and also gave us tips for possible future lab founders like you. Interested in reading more about the benefits that could be provided by opening your own 3D printing lab for your company? Download our free Ebook to get all the information you need to get started!